Marking Speed: Up to 7000 mm/sec. Compatible with Windows 2000 / XP / 7 / 8. 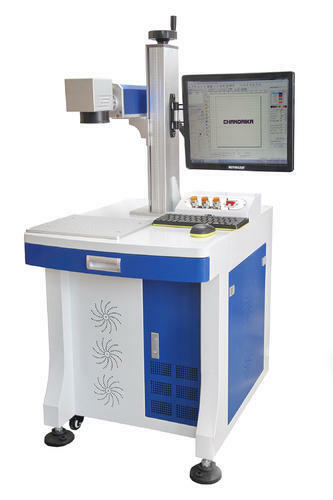 PLT, .DXF, .BMP, )PG & Other Vector & Bitmap Images are supported by the software for Marking. Gold Bangles, Rings, Bracelets, Earrings, Nosepins, Pendants, etc. Silver Bangles, Rings Bracelets, Earrings, Nosepins, Pendants, etc and other Jewellery. Nameplate marking And many other custom applications. Established in 1987, we “Chandrika Corporation” are engaged in Manufacturing, Exporting, Importing high-quality Metal Numerators, Roll Marking Machines, Impact Press and much more. These machines are designed and manufactured using high-grade components and cutting-edge technology under the guidance of skilled team of professionals keeping in mind defined industry norms. We offer this range in various technical specifications and can be customized as per the variant needs of the clients within the stipulated time frame. These machines are broadly recognized for high performance, low maintenance, rugged construction, easy installation, power efficiency and longer service life.